Is it possible without any former Military or Police career? Whilst there are without doubt many competent ‘workers’ in the industry whom have neither any former military or police training and experience it does remain an obvious stance, that those with such training will operate at a higher level than those who do not. Not only is the training longer and more in-depth, there are specific selection criteria for those individuals wishing to specialise in their respective government units. From basic military and police training we see the foundations of character building on which to progress further, more stringent and advanced training. Every member of a government protection or surveillance team from the UKSF, RMP CP, Police and Intelligence Services is trained to a standard that is arguably, unsurpassed. Prior to being selected for training, the individual would undoubtedly have had a strong military or police background, more often than not have served in some form of elite military or anti-terrorist/ firearms unit, in itself having completed rigorous selection procedures. They would have undergone stringent physical, medical and mental examinations and in some areas, psychometric testing and evaluation, and, during their training, would have been constantly assessed for proficiency and attitude. As a result, the personnel are motivated, pro-active, diligent, dependable, reliable and resourceful. They would be able to operate as an individual as well as in a tight knit team. They have disciplined characters and would also invariably, be of a mature age. In international Close Protection and Surveillance circles – they are widely respected as experts and the content and standard of personnel involved is arguably the highest in the world today. When those same individuals, highly trained and experienced operators, enter the commercial world of the security ‘industry’ the levels of service from a comparative perspective to their non-former military or police counterparts remains distinct. So how can the latter be in a position to compete when the commercial training available as dictated by the industry regulator, the Security Industry Authority, is a paltry 2 weeks that anyone can pass? I often respond to such enquires with joining the military or the police and gain that training and experience for free. However, often many are too old or indeed have personal commitments not conducive to employment in the Services. This, however, is no barrier if you wish to excel as other options are available. The ONLY way to compete effectively is to consider volunteering for specialist training within the Reserve government units. 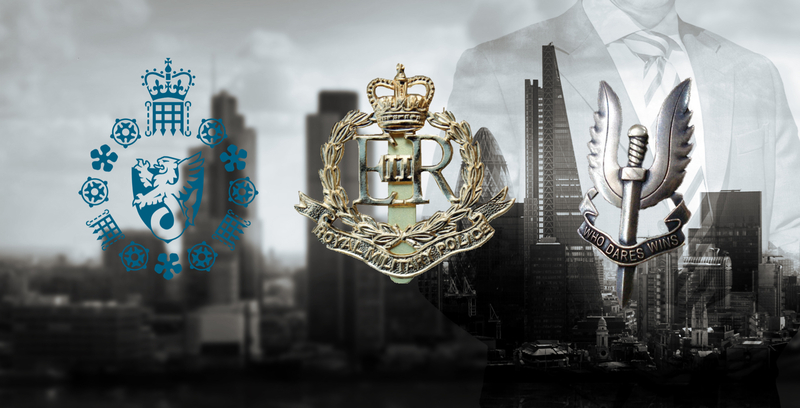 These can be the SAS and RMP where not only will you receive exceptional training you will also be able to specialise. The RMP Reserves permits attendance on the RMP Close Protection Course. Or why not join Mi5 for a few years? We as a company have, and currently are, employing those with the above experience based on the experience and additional courses they have attained. The training and experience you will receive – not to mention the personal satisfaction and pride is without question. Government Service or ‘2-weeks’ of poor SIA training? Standing out from the crowd or one of many? Mobius international is a close-knit team of individually skilled people from the world of business and government specialist units. We combine our skills to provide our clients with the protection and reassurance they need to conduct business in locations and environments that are uncertain and potentially dangerous.